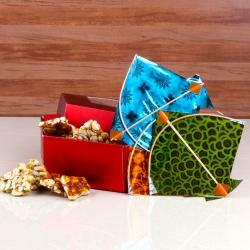 Product Consists : Til Peanut Chikki arranged in a Box (Weight : 300 Gms) along with 2 Small Kites (Size : 3.5 Inch each). Makar sankrati is a festival which is celebrated all over India. And each region celebrates with its own local form of this festival. If there is a kids in your receiver family than they loved to have it, this traditional Indian sweets brings innocent smile to their faces. 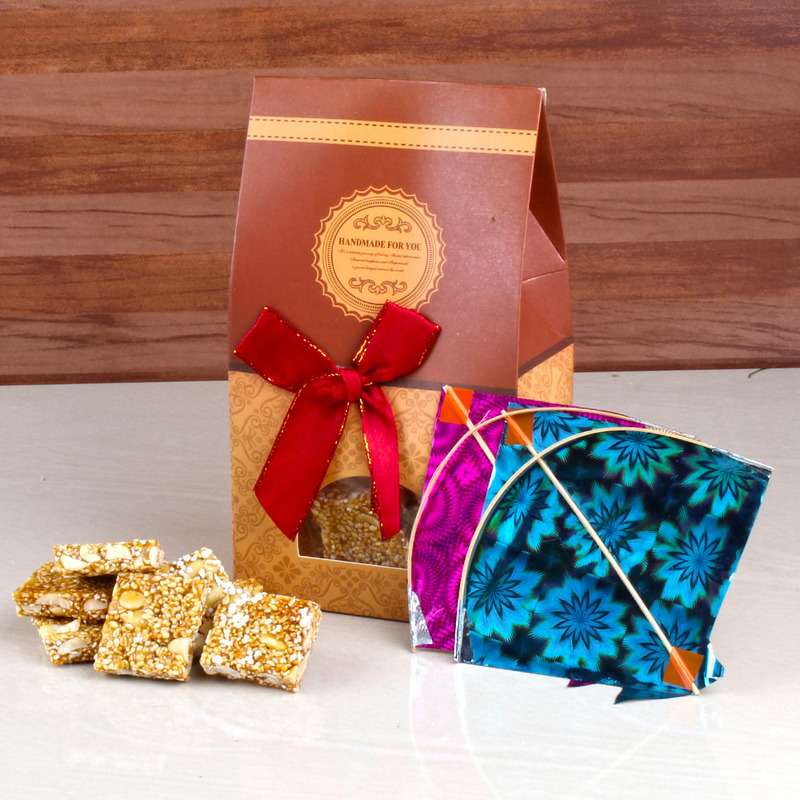 Send traditional Indian sweet to your family with special festival feelings attachment as per your traditional rituals for Kite Day Day, Makar Sankranti, Uttarayan, Pongal. and for sure your efforts will eventually pay off because in our Indian families we all knows the value of sending this kind of festive gift. 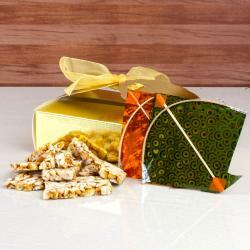 This gift combo of Til Peanut Chikki with Two Small Kites should be the best bet for special occasions and festivals. Browse your favourite products, it is very conveniently available for online shopping from anywhere in India with Free Shipping. 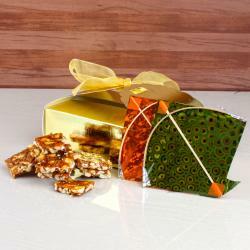 Product Includes : Til Peanut Chikki arranged in a Box (Weight : 300 Gms) along with 2 Small Kites (Size : 3.5 Inch each).